The biggest off road motorcycle show in Europe now hosted at the Stafford Country Showground; famous for the classic motorcycle shows. Hundreds of trade stands, manufacturers and autojumble plots are sure to give every dirt bike enthusiast a great day out. 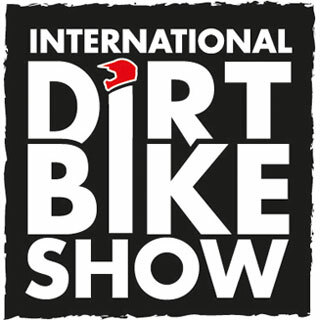 It's also a good idea to follow the show on Facebook (facebook.com/dirtbikeshow) and Twitter (twitter.com/dirtbikeshow). Available when purchasing advance tickets for both days. Parking at the venue is FREE! Child tickets must be bought in conjunction with adult tickets. Your e-tickets are emailed to the email address supplied once the transaction has completed. Alternatively, your tickets will be available to download from the "My Account" section of this website. Please ensure that you either print the tickets, or have them ready to display on a phone or tablet screen to allow staff to scan your ticket at the entry gate. NOTE. Please select your ticket(s) carefully - as there are different tickets for each day.